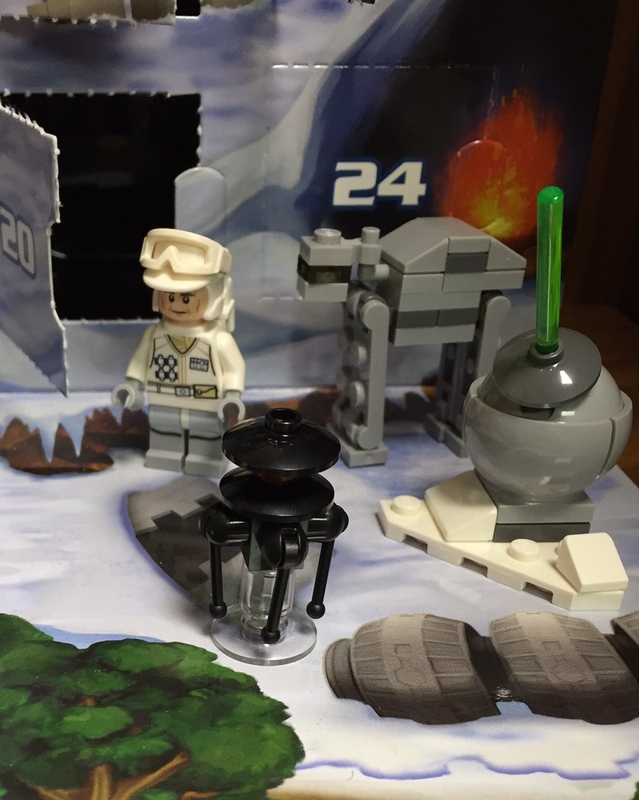 In a previous Star Wars Advent Calendar, I did a post on violence lying in wait. Since today it is an Imperial Probe Droid, I made some edits to the original post, and reposted below. Enjoy. An Imperial Probe Droid. In the aftermath of the destruction of the first Death Star, Darth Vader sent these all throughout the galaxy in search of Luke Skywalker. While the nativity is generally viewed as a serene moment, it was anything of the sort. When you probe deeper into the context of the nativity, you realize the danger Joseph, Mary and Jesus will encounter. The prominent mothers of Star Wars (Shmi Skywalker and Padme Amidala) and their sons (Anakin and Luke Skywalker) faced violence throughout their lives. Today, I want to talk about an interesting passage from the Book of Revelation that address the birth of Christ, and Satan. Why would this be going on? A prophecy about Jesus from the Book of Genesis. God foretold that Jesus would crush Satan. Satan wanted to stop Jesus at all costs. George Lucas is deliberate in referring to Jesus when we find out Anakin was immaculately conceived. When Anakin’s power and prophecy are revealed, he is sought after by Darth Sidious at all costs. Why? He was the “Chosen One” who would eradicate the Dark Side of the Force. While Jesus resists Satan’s temptations in the wilderness, Anakin Skywalker cannot resist the temptations of Darth Sidious and turns to the Dark Side to become Darth Vader. The two of them violently bring about their plan to rid the universe of the Jedi. While this takes place, Anakin’s wife, Padme, is pregnant. She dies right after childbirth, after being force choked by her husband. However, her children survive in secret so the evil in search for them will never find them. The Empire would want the “son of Skywalker” for their nefarious plans. Luke and Leia are “caught up” to different locations, and both play a crucial part in crushing the evil empire. The birth of Jesus is a wonderful moment, but there is violence lurking. Thankfully, Jesus escaped the violence until he willingly endured it on the cross. His death crushed evil. At the end of Darth Vader’s life, he sacrificed himself for his son and killed the Emperor. He fulfilled the prophecy of the Chosen One.